One of the sure ways to quicken the pulse of a competition pitmaster is to mention the mystical words “Japanese Wagyu brisket!” We all know that American Wagyu or “American Kobe” is readily found in the US but a genuine one from Japan is a very rare treat. When I received an email from Phillip Cummins, I could scarcely contain my excitement. Phil is one of my 800+ alumni who also happens to own seven high-end restaurants in LA, Vegas, and Scottsdale (BOA Steakhouse, Delphine, Rivabella, Katana, Sushi Roku, Chi Lin, Soleto). Phil just got in a few true Japanese A-5 Wagu briskets on special order from Japan and it was his treat to me for helping him step up his barbecue knowledge and skills in my March 2013 class. The A-5 is the top of the line grade and are extremely difficult to get in the US. I’ve smoked my fair share of US and Australia Wagyu which are progeny from Japanese stock which were interbred with local herds (usually Angus). 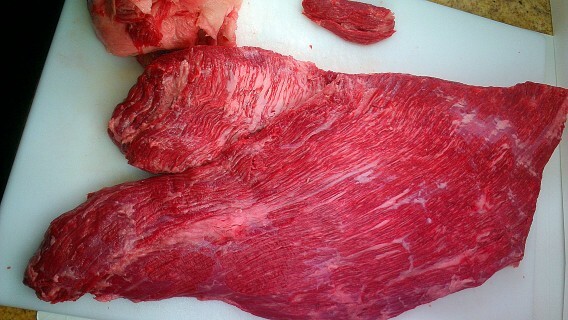 They were all excellent eating briskets but I’ve never smoked a genuine Wagyu from Japan. The A-5 grade from Japan is reputed to cost upwards of $160 a pound so it’s not something you cook every day. Phil sent his messenger to personally hand-deliver the precious 15.8 lb cargo to my home. When my fiancé and fellow pitmaster Donna Fong of Butchers Daughter BBQ saw it, she jokingly told me to schedule a portrait session at Sears as we needed to get our picture taken with it. After allowing it to carefully thaw, I trimmed with loving care and cooked it with my SYD Hot rub. No injection, no mop, no other stuff; just pure Japanese beef goodness! Was it the best brisket I’ve ever tasted? Read on if you want to find out what it was like to experience a real A-5 Wagyu from Japan. Part of the A-5 point used for test cook of the brisket. Delish! My first blush with Japanese beef was in the mid-80’s while I was an airline pilot in an earlier life. It was a bone chillingly cold night in Osaka and I was at Shabu Shabu hotpot restaurant with my crew. The table next to us ordered some thinly sliced A-5. It was a beautiful red with lots of specks of white fat evenly distributed throughout the slice. We ordered some and I remember that I only got one ⅛ inch thick slice to savor its special deliciousness. Fast forward almost 30 years and now I was faced with the exciting prospect of cooking almost 16 lbs of it. There was no room for error as I may not get another chance anytime soon. No pressure! Before one eats something so expensive and precious, it’s good to know a little about it. I always find that educating myself about a place or product immensely magnifies my enjoyment of it. If you’re not interested, just skip this next section. Wagyu refers to all Japanese cattle. “Wa” means Japanese and “gyu” means cattle. Wagyu originated from native Asian cattle used to pull carts and ploughs to work the rice fields. They were crossed with British, European, and Asian breeds in the late 1800s as the ruling Meiji government wanted to introduce Western food culture into Japan. Since 1910, the breed was closed to outside bloodlines. The regional isolation caused by Japan rugged terrain produced several different horned variations. About 90% of Wagyu are referred to as Japanese Blacks (Tottori, Tajima, Shimane and Okayama) and 10% are Japanese Reds (Kochi and Kumamoto). 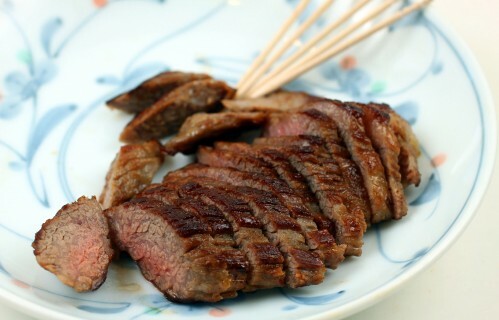 Wagyu beef production in Japan is highly regulated and progeny testing is mandatory. I’ve heard that this comes at great cost so Japanese folks spend three times more money on food as we do in the US. Food safety and high quality is the hallmark of Japanese food. Next time you visit Tokyo, check out their grocery store prices and how beautifully food is packaged and you will see what I mean. Since they know the value of their genetic stock, the Japanese Government banned the export of Wagyu and declared them a national living treasure. However, in 1975, two black and two red bulls were exported to the United States and interbred with American stock in what began as a 20-year infusion of Japanese genetics into North America, then Australia, and the rest of the world. In 1989, the Japanese encouraged US producers to produce US Wagyu beef for export to Japan to meet their growing beef needs. 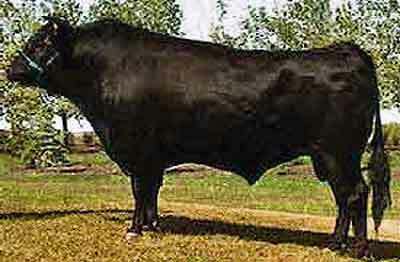 As the Wagyu beef reputation and price rose, US producers started calling their US interbred Wagyu as Wagyu beef. Worse yet, the term Kobe beef exacerbated the situation as name confusion ensued which created a public relations nightmare for Japan. 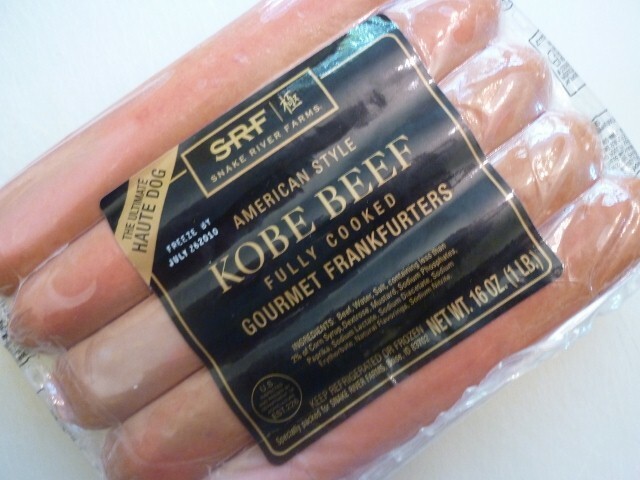 Add unrelated media influences such as Kobe Bryant’s name, a sports icon and basketball guard who plays for the Lakers in Los Angeles to the mix and it wasn’t long before there were Kobe burgers, Kobe meatloaf, and Kobe hot dogs. 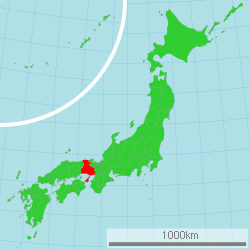 Let me straighten the facts by sharing that Kobe is the capital city of the Hyōgo Prefecture in the Kansai region on Honshu island of Southern Japan where many black Tajima cattle is raised. So there is really no Kobe beef in America unless the cow was born, raised, and processed in that region. Great tasting beef from other parts of Japan cannot technically be called Kobe beef and are called Wagyu or “Japanese Cattle” referring to Japan’s breed entirety. This situation is analogous to sparkling wine. Only sparkling wine from grapes grown in Champagne, France, can technically be called champagne but that trademark is ignored, just as the US government does not recognize the Kobe beef trademark. Legally imported Japanese Wagyu into the US was halted in 2009 due to an outbreak of foot and mouth disease among Japanese cattle but after a three-year hiatus, the USDA began to allow limited quantities to arrive at US shores in August 2012 after determining that the risk was low. Still, the percentage of Wagyu imports were much less than a fraction of 1% of US produced beef. You’ve probably heard it takes longer to get Wagyu animals ready for the market. Rumor has it that some of their animal husbandry techniques include massage techniques with Sake sprayed from the mouth of the farmer to soften their meat, happy hour with Japanese beer to make their flesh sweet, and even classical music piped into their daily feeding program. In other words,”Happy Cows equals Tasty Meat”. Whether these stories are authentic or more for the tourists and TV cameras is subject to debate as I know US and Australian producers do not do that. In my visits to Japan, I’ve noticed how food is treated with much respect and reverence as to how they are raised. So images of a hapless Wagyu cow living a peaceful existence in a Japanese pasture before being dispatched for human enjoyment is par for course. Though, I’ve heard that the sake fable has a bit of truth as the sake is reported to get rid of ticks! Regardless of their superior genetics or Ritz Carlton upbringing, Waygu beef is a premium high quality meat with a great marbling effect. 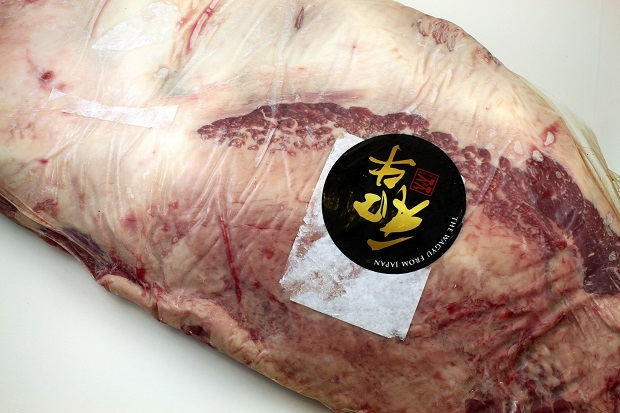 Japanese Waygu beef is graded different than the USDA eight grade approach. You probably only know of three USDA grades: Prime, Choice, and Select. There are five lower USDA grades. 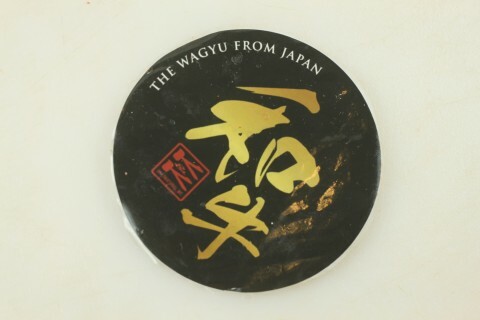 Wagyus use the Japanese grading system which is determined in terms of (1) marbling, (2) meat color and brightness, (3) firmness and texture of meat, and (4) color, luster and quality of fat. “A” of “A5″ means the yield grade, while “5″ shows the quality grade. A-5 is a top of the line grade given only to the finest beef as determined by a Japanese government inspector. 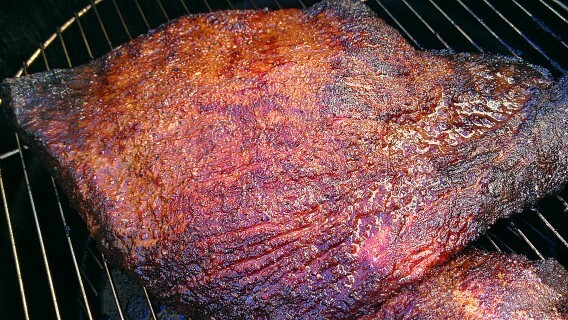 So how does a A-5 Wagyu beef brisket taste after being carefully smoked in a pit for 12 hours? First off, my initial taste sensation was that it was a little milder and had a finer texture than its US Wagyu counterparts. As I closed my eyes and slowly chewed to distribute the flavor, there was a wave of the most delicious beef flavor as the buttery fat and meaty goodness swirled in my mouth. Two words came to my mind: “Heavenly Wonderful!” The meat had a creamy beefy flavor that was super tender. It was not too soft nor fall apart because I had taken great care not to overcook it. I probably babied it more in the last 2 hours of smoking than I usually do even at the highest stakes contests I’ve competed in. The sensations of unctuousness (characteristics of oily umami taste) diffused on my tongue. The flavor and texture was like no other meat I’ve tasted even when compared to many American and Australian Wagyu’s briskets I’ve cooked and sampled. It was wonderful! Was it better than the best non-Japanese Wagyu or best quality Angus briskets I’ve ever had or any beef for that matter anywhere? The answer is yes with the following comments. First off, I found the A-5 wonderfully different and delicious in a category and standard of its own. That being said, I would be happy eating an A-5 as I would be eating a well aged and perfectly marbled US brisket such as a Prime or Certified Angus Beef (CAB). The three areas where they differ are as follows: 1) the texture of the A-5 was finer than a CAB, 2) the degree of fattiness was higher in the A-5, and 3) the beefiness of the A-5 was milder than a CAB. I love them both and I would be happy with either one, costs notwithstanding of course! 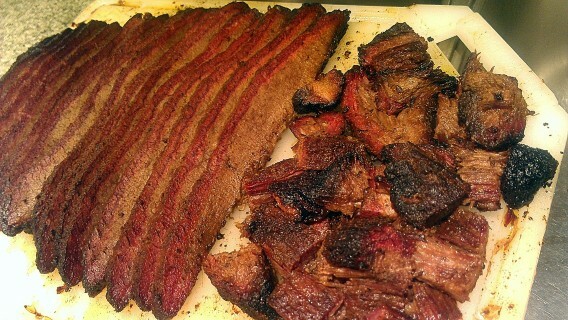 In summary, the A-5 was one of the most delectable briskets I’ve ever encountered. The marbling was fantastic, the fattiness was soft, flavor was delicate but with a richness that lingers on the palate, the meat had a smooth velvety texture, and the juiciness spreads out in your mouth. These were unique characteristics I’ve not tasted in elsewhere and it’s an unrivaled epicurean experience. Slice the flat across the grain and cube the point. Enjoy! Can’t believe I’m staring at a $2500 cut of meat! I’m speechless–don’t know what to say. I can only imagine what it tasted like! 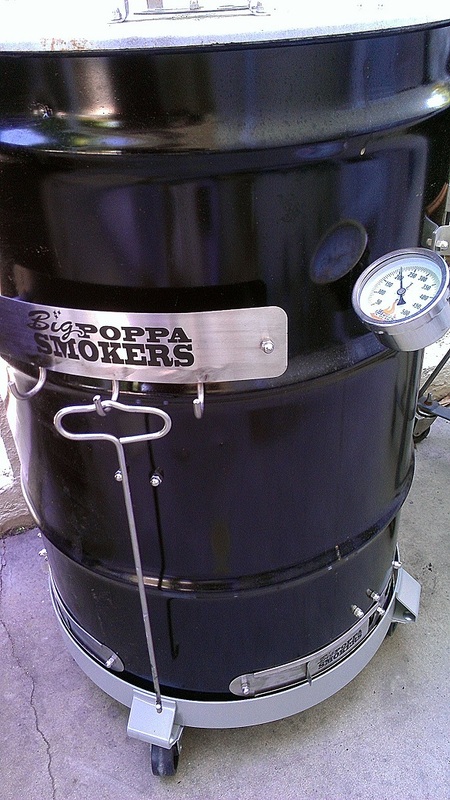 It’s always about the pitmaster and not the pit. The cook instead of the cooker. You can get a great result with proper technique and experience. Practice to get it perfect! Some of your recipes call for spraying the meat with "tap" water. Wouldn’t it be better to the trouble of using bottled water since some areas of the country have questionable water? I’m more than willing to spend a few bucks on a nice bottle of water since I’m possibly paying hundreds of dollars for the meat. Thanks for a great website and all of the inspiration you provide! These are super delish but a little pricey. Snake River Farms is not remotely possible to A5. They are primarily a 50-50 angus cross by Wagyu which will never be A5. Might and probably prime which is very good. Yes, my article was about cooking a real A-5 brisket that was imported from Japan which I had never cooked before. 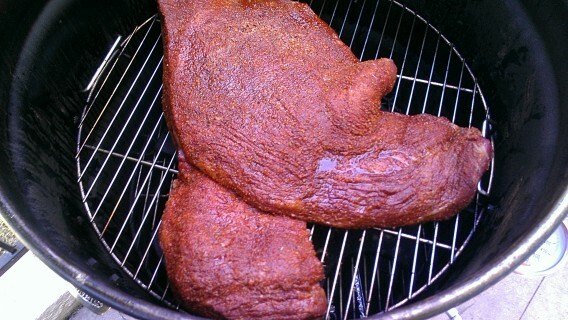 My only prior frame of reference of similar briskets was among American-raised Wagyu. Of the numerous American brands I’ve cooked and tasted, the winner is Snake River Farms Wagyu brisket (Gold or Black grade). IMHO, SRF has the most consistent and best tasting American Wagyu. Nice. The one I cooked was about $1,700!